Today, you are a member of... Gun It! - You Are A Member! Today, you are a member of… Gun It! 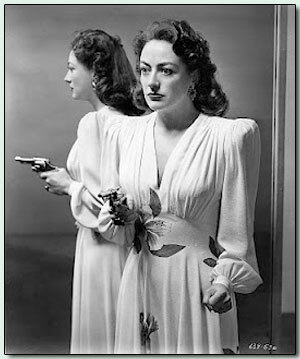 What’s more terrifying than Joan Crawford’s shoulder pads, Members? The fact that Mommy Dearest would have been 107 today. And indeed, your week may be filled with Mildred Pierce trials, Baby Jane have-at-its, and Trog misteps but that doesn’t mean you can’t self promote like hell, win an oscar, have a hand in the biggest corporation in the world, see to it that Princess Lotus Blossom is well cared for, and yes, even rock some shoulder pads. So molt your own inner Lucille Fay LeSueur into Hollywood royalty this week and for glamour’s sake, gun it, Billie.